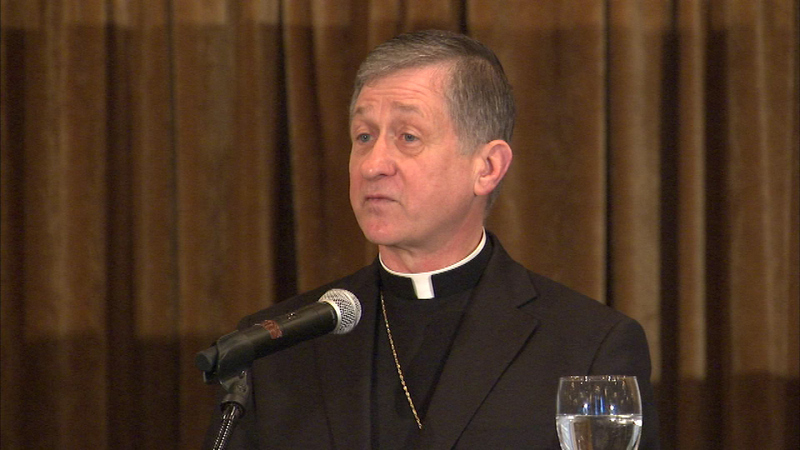 CHICAGO (WLS) -- Archbishop Blase Cupich is helping Chicago area children get a Catholic education. He spoke during the Celebrating Catholic Education Breakfast Tuesday morning, at the Drake Hotel in downtown Chicago. The breakfast is part of the annual Catholic Schools Week. The proceeds go towards scholarships for students in the archdiocese of Chicago. "Our system of education works," Cupich said. "It benefits society and deserves support so it can continue"
Cupich says there are more than 85,000 students in the Catholic school system in archdiocese.